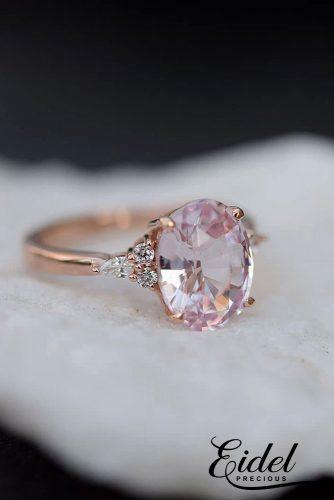 There’re some original rings as well, like this unique pink sapphire engagement ring (Photo 1) with accented pink sapphires. 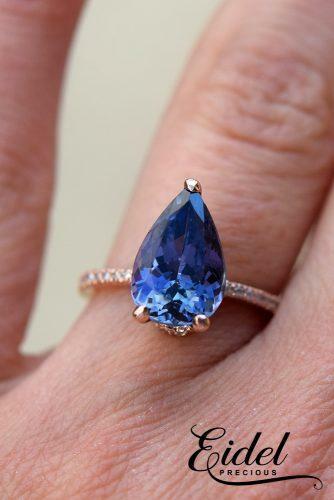 Get her a fairytale engagement ring (Photo 2) with a breathtaking deep blue sapphire. 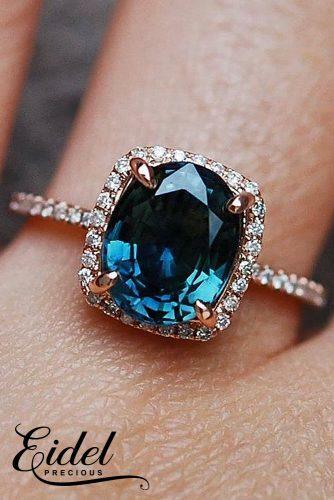 Or make her happy by presenting her a breathtaking ring with gorgeous round cut sapphire and beautiful pave band (Photo 3). 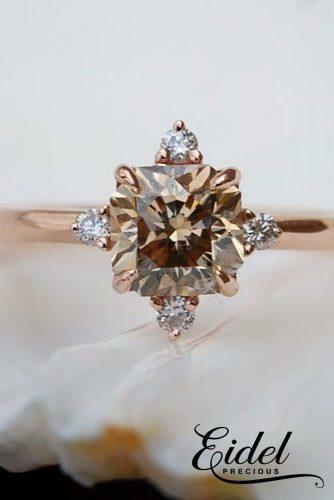 Maybe you will choose a beautiful champagne diamond engagement ring with natural diamonds (Photo 1). 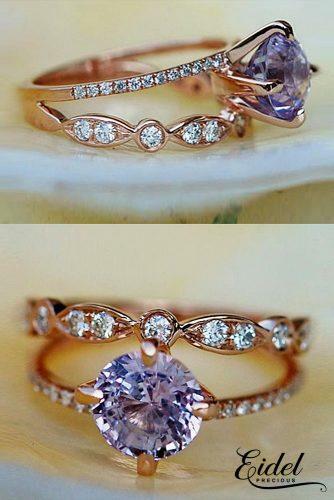 The next engagement ring (Photo 2) is a set with a gorgeous lavender peach sapphire. 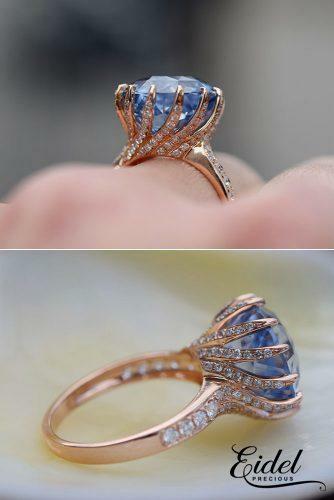 This romantic sapphire ring (Photo 3) with diamonds in rose gold will be a proof that your love is eternal. 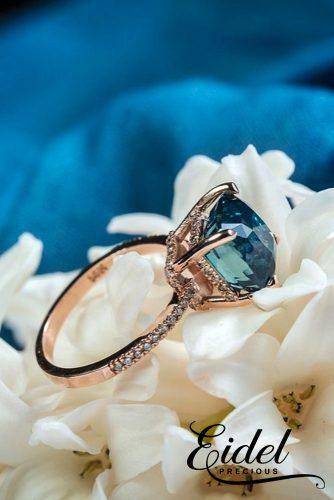 This fantastic engagement ring with breathtaking pear cut sapphire will make her fall in love (Photo 1). 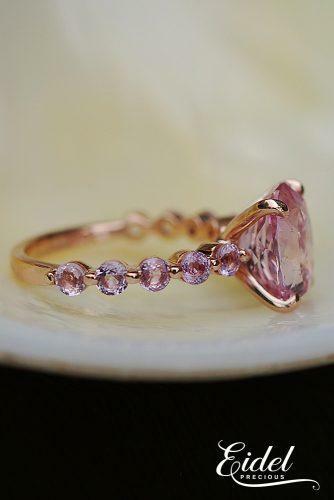 This engagement ring looks so good with colored sapphire in rose gold (Photo 2). 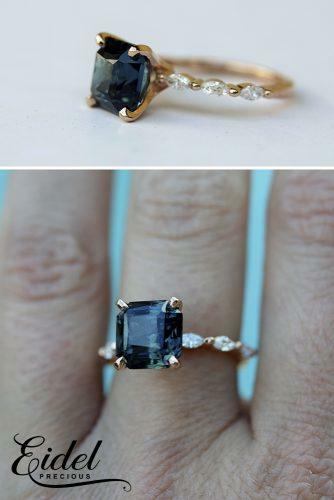 So deep blue sapphire (Photo 3) in this ring looks amazing with halo and paved band.